Hi! 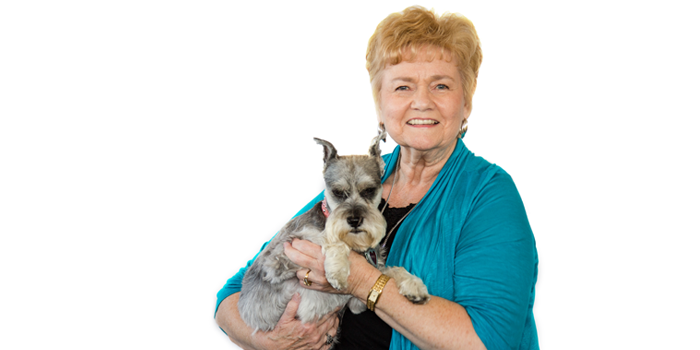 My name is Pat, I’m the Administrative Assistant in the Pismo Beach office. I’m married, have two grown sons, two granddaughters, and one grandson, plus a miniature schnauzer! I contribute my experience of eighteen years in banking, nine of those as a branch manager, plus eleven years as a manager in the hospitality field, to the success in my current position as Administrative Assistant, which I’ve held for the last seven and a half years. I know the importance of reaching goals, meeting time lines and providing great customer service! During my personal time I enjoy a good movie, book, decorating my home, sewing or just spending time with my family and my miniature schnauzer. My goal is to be financially secure in my retirements years and spend some time travelling the United States-especially Alaska, Hawaii and the east coast, where my grandchildren live.